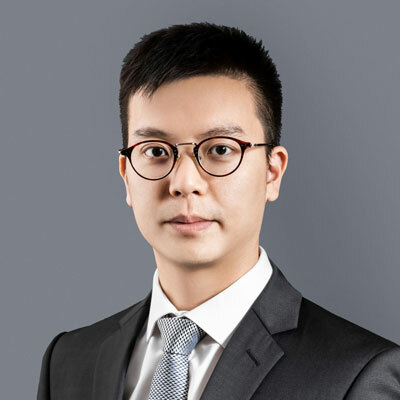 觀點洞察 - Is ASEAN the first EM market to bottom out? Is ASEAN the first EM market to bottom out? While the world paints EM with a single broad-brush stroke, ASEAN markets have quietly separated from the rest of EM and may have bottomed out in July. We say quietly because no one is talking about it, with most financial media preferring to focus on the US/China trade war, Turkey’s Lira crisis, Argentina’s rate hike or some other potential problem area. There hasn’t been much news out of ASEAN of late, which may simply be because the story is not one of turmoil and difficulty but of consistent growth and opportunity. Simple – ASEAN is one of the world’s major growing economies after China and India. A consistent growth rate of 5-6% per annum is recorded in the past few decades and shows no sign of slowing down. Some member countries like Indonesia and Vietnam are currently growing at their fastest pace since 2013, e.g. GDP growth rates are 6.8% in Vietnam and 5.3% in Indonesia in the 2nd quarter of this year. As growth becomes a scarce commodity among major markets worldwide, it may be time to examine ASEAN as a potential exposure. Some investors are cautious about investing in ASEAN markets due to the increasing risk aversion toward overall emerging markets (EM). Before diving into the current EM crisis, we have to remember that EM is a broad concept and the countries involved are not only in different developmental stages but also have completely different factors affecting their performance. 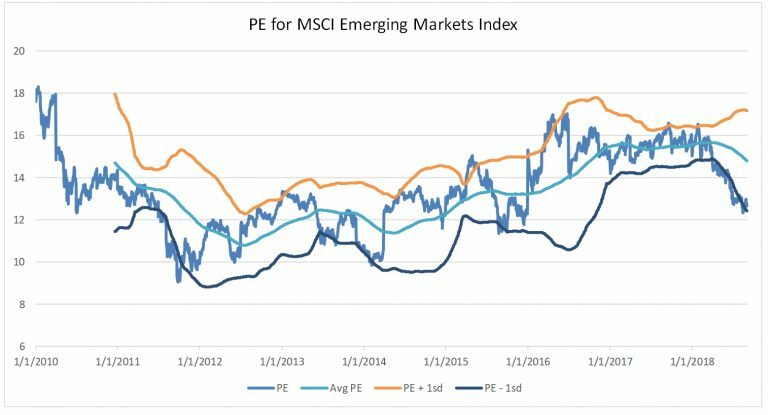 While many global investors do not bother to get granular in EM, the reality is that a broad-brush allocation misses many unique opportunities. For more focused investors, seeing EM as a single exposure is an oversimplification to say the least. EM is not a single market, just like no sane investor would believe that US, Europe and Japan in developed markets (DM) all behave in the same way. Geographically, EM includes a few major clusters such as Latin America, Eastern Europe, Middle East, Africa, China, India, and Emerging ASEAN. The recent concern around Turkey’s twin deficits, Argentina’s massive rate hike, South Africa’s recession or Brazil’s corruption scandal are rather unrelated to what is happening in the Far East. If investors are willing to research for potential winners from the latest iPhone iteration supply chain, or to monitor medical breakthroughs to time the biotech bull cycle, then it may be worthwhile to adopt a similar approach to investing in EM. 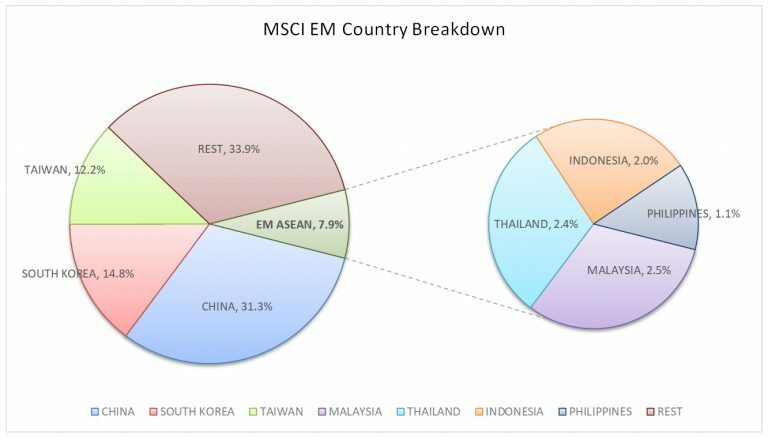 A typical EM strategy allocates 58% to North Asia (China, Korea and Taiwan) while Emerging ASEAN accounts for a mere 8% (Malaysia, Thailand, Indonesia and the Philippines). Similarly, an AxJ strategy would have China, Korea and Taiwan at a combined weight of 61% whilst Emerging ASEAN accounts for only 9%. Everyone would agree that most of the fundamentals for ASEAN are extremely good in the long-term. ASEAN has a young population, a low GDP per capita, a massive domestic consumer market, low urbanization, a low-cost workforce, etc.. The question is why invest now? We believe that the current careless and indistinguishable bearish sentiment across all EM countries makes for a particularly good entry point. Overall EM is trading at one standard deviation below the historical average. The sell-off triggered by the financial woes in Argentina and the tremendous depreciation of Turkey’s Lira provide an excellent window to tap into ASEAN markets that still offer decent growth. Not only are valuations low, but flows have been quite bearish as well, suggesting that investors are indiscriminately selling ASEAN alongside broad EM. ASEAN has seen outflows YTD, just like in 2015. On a cumulative basis, investors have taken out more than half their inflows over the last few years. Both Indonesia and Thailand foreign ownership levels are lowest since ‘08-‘09. Lastly, ASEAN may benefit from the trade conflict between China and the US in near term. First, the region is relatively immune from a probable decline in global trade as the economy is 77% driven by domestic consumption. Even within the remaining trading activities, ~80% of trade is intra-regional with the US accounting for only 10%. Second, if China begins to lose market share to the US going forward, it will not necessarily be because manufacturing returns to US soil. Producers may instead look for other countries to reinstall their factories. For example, the CEO of Samsonite just revealed that the company is considering relocating some of their China production lines to Thailand and Vietnam to diversify the source of manufacturing and to reduce the impact of any further tariff hikes targeting China exports. It is consistent to what we have been seeing for years among apparel brands, which have already shifted production away from China to ASEAN countries due to China’s rising labor costs and tight exports quota over the past few years. What about USD strength and a funding crisis? ASEAN markets experienced a downward spiral during the Asian Financial Crisis in 1997 and took years, if not a decade, for the wound to recover gradually. Since current market conditions, such as the US economic upcycle, strong USD and debt issues in EM, are similar to those in 1997, a few market observers have expressed concern about another Asian Financial Crisis. We do not think this is likely. In general, ASEAN countries are in a much stronger position to withstand the pressure. 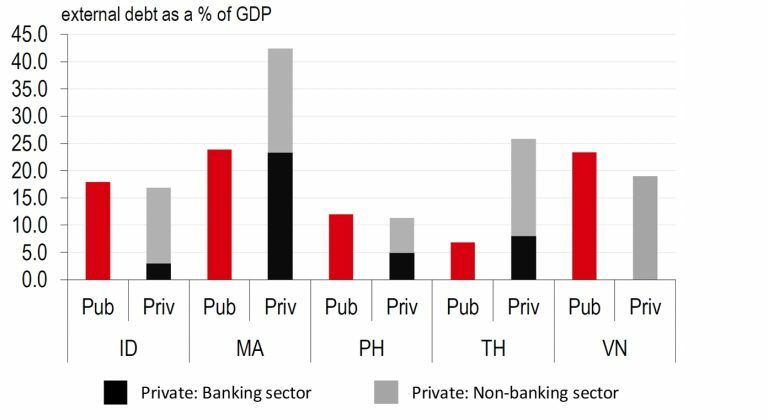 For example, external public debt as a % of GDP is about 7% to 24% across ASEAN countries, while external private debt is slightly higher at around 11% to 43% of GDP. The aggregate level is still sitting comfortably at 23% to 67%. For reference, Indonesia’s external debt ratio is reduced from 56% in 1996 to 35% currently while Thailand’s also dropped from 40% in 1996 to 33% now. In addition, the foreign reserves of all Emerging ASEAN countries are in a much stronger position. For example, the total foreign reserves of Malaysia, Thailand, Indonesia, the Philippines, and Vietnam are about USD 565 billion, 5 times bigger than in 1996. 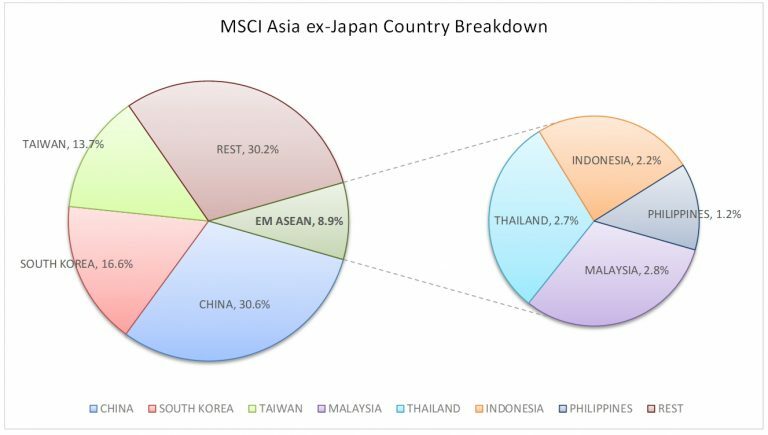 Is there a way to quickly and efficiently add Emerging ASEAN exposure to your portfolio? Of course! Since its listing on August 6, our Emerging ASEAN ETF (HKD counter: 2810 HK; USD counter: 9810 HK) became the world’s largest ETF by AUM focusing on broad ASEAN exposure. 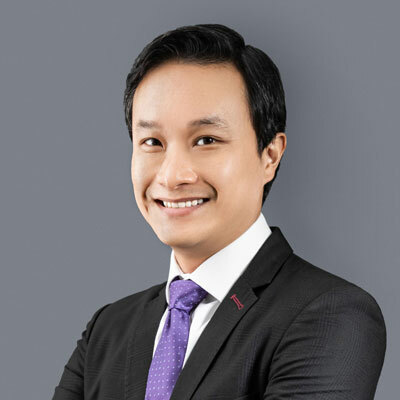 By targeting 100 leading stocks in Malaysia, Thailand, Indonesia, the Philippines and Vietnam, it provides investors with a cost-efficient tool to capture Emerging ASEAN growth opportunities while remaining diversified and minimizing liquidity challenges in what are otherwise illiquid markets. You can find 2810 HK’s top holdings, sector and country exposure on a daily basis in the product page, which you can visit by clicking here.